The family agricultural farm OPG Julijan Lonić is a producer of aromatic and dry wines. The technology used in the production of aromatic wines is that in the barrels of 1,000 liters of capacity containing already made wine aromas are added, in certain quantities and according to a unique determined recipe designed by the owner, until a desidered taste is achieved. 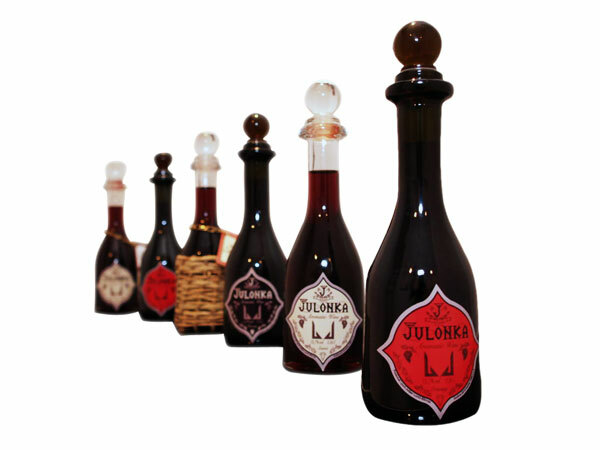 The recipe is a secret and because of it the Julonka aromatic wine is specific and unique. The result of that technological production process is an original product and taste. 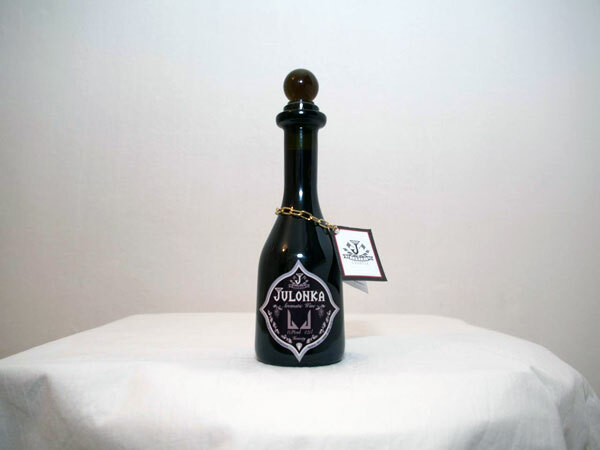 The wine is a carrier of a mark awarded by the Croatian Institute for viticulture and fruit growing, which is a proof of a high quality of the product. 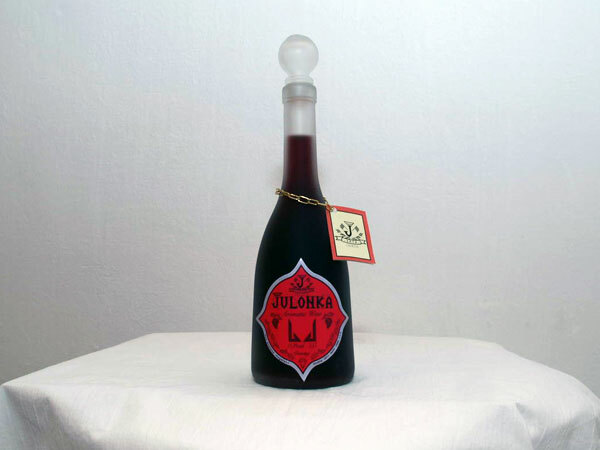 Aromatic wine “Julonka” is a noble alcoholic beverage, which is made from high-quality wines with a geographical indication, ecologically grown. It is a mixture of wine and aromatic herbs. The preparation of drinks is completely manual and it is a family secret. Months of work, but also dozens of liters of wine were put on hold when drinking did not get the desired flavour. Great attention is paid to every detail - from the label that is unique to the bottle and the name that are also unique. This type of production of aromatic and dessert wines is the only one in the Zadar County and also in Croatia, since it does not belong to a standard production of still wines, predominant in Croatia. The objective of the OPG Julijan Lonić activity is the introduction and placing on the Croatian market of a new production of aromatic and dessert wines, not standard in the Republic of Croatia. 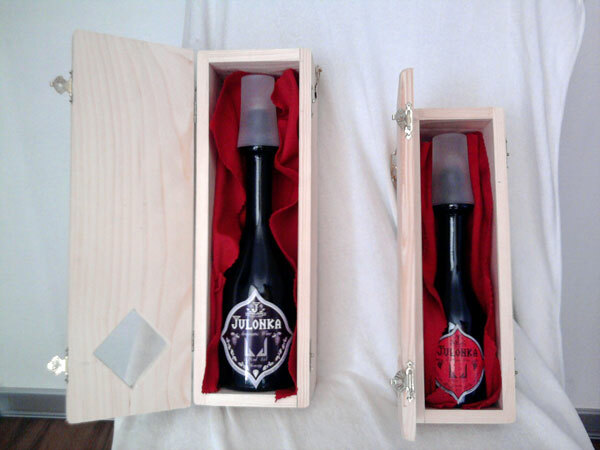 By certifying his products by the Croatian institute for viticulture and fruit growing the producer opened a possibility of branding his products since certifications are a form of standardization of products, which is also a form of innovation because the path is consequently open to branding as a further step in his business. All that serves as a confirmation of his products’ quality and will help in enlarging the business and staying at the Croatian market. Certification of products is a trend lately present and required at the Croatian market and this producer’s experience can be used by other producers in order for them to certify their products and enter into the market. Results expected are spreading of the activity of this kind of production into the Croatian market, of the idea of certification and branding of products considering the growing need for standardization of products. Through international projects which will promote this activity and direct contacts between this and other producers, the idea of this type of production based on innovative concepts of production and collaboration with scientific research institutions can be transferred to other enterprises and interested parties in the country and abroad.